After decades of ultrasounds and selective abortions thanks to an ill-advised One Child Policy, India has five boys for every girl, turning women into a valuable commodity. The women of the city of Koyanagar fight back, creating an independent city-state walled off from the rest of the country, where every boy will have a fair chance to win a wife through a series of challenges called the Test. Twelve years later, Sudasa, who barely remembers life before Koyanagar declared independence, turns seventeen and must choose a husband through the Test even though she doesn’t really want to get married. Five boys are competing for her hand, but the only one who intrigues Sudasa is Contestant Five, who seems to be walking the fine line between deliberately failing the Test and being conscripted into the army as punishment for failing to participate. Sudasa doesn’t start out as naïve as some dystopian heroines. She doesn’t have to become disillusioned with the system; she can already see some of its flaws, though she tends to think about it from her perspective rather than that of the boys. However, when her second cousin shows up as Contestant One in her Test, she receives final confirmation that the system corrupt as well as flawed, and this pushes her over the edge into rebellion. Her grandmother, Nani, is one of the matriarchs of Koyanagar, and Sudasa suspects she has rigged her tests to force her to marry someone she despises, a second cousin who is a somewhat villainous caricature of sexism and entitlement. Sudasa’s chapters are relayed in verse, heavily relying line breaks, punctuation, and formatting to underscore her feelings. Kiran, known to Sudasa only as Contestant Five, conveys his point of view in prose. He comes from a poor village by the sea, and finds himself torn between warring instincts. He never expected to win, and in fact plans to do all he can to lose short of refusing to participate, which would result in an immediate punishment. But he is repulsed by Contestant One’s sexism, bullying, and sense of entitlement, and cannot help but want to put him in his place. He struggles with the fact that he could easily beat Contestant One, but only if he is willing to give up his own plans to escape Koyanagar and find out what happened to his mother, who left the city before the gates closed twelve years ago. 5 to 1 takes place over the course of the three days of Sudasa’s Test, and includes some flashbacks to her childhood, as well as reflections from Kiran’s past. This narrow scope allows the story to work; the immediate action and high stakes distract from the somewhat flimsy world-building, and the perishable nature of the premise. 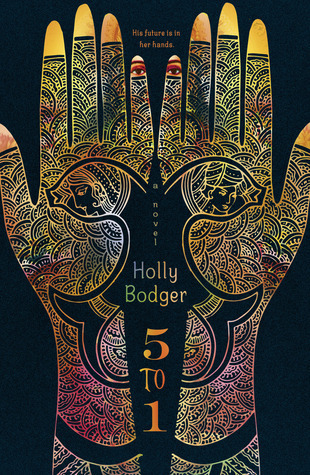 Ultimately, 5 to1 is a parable about why feminism has to mean equality of the sexes, not role reversal, and the world-building takes second place to setting up a situation that allows Bodger to explore this idea. With an open-ended conclusion, there is room for a sequel, but a greater focus on developing the world would be necessary. 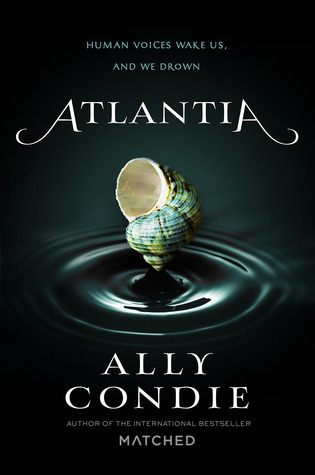 This sounds like a fascinating premise and one with a thoughtful point to make, but the fact that you weren’t impressed by the world building plus the focus on romance makes me hesitant to pick it up. I actually wouldn’t describe it as romantic despite the fact that they are trying to arrange a marriage. I won’t get too spoilery, but even though Sudasa finds Kiran much preferable to her cousin, what she is really looking for is a way out of marrying at all.